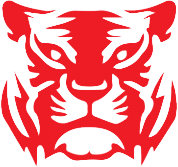 Red Tiger Gaming is considered a solid software developer in the online gaming industry with a wealth of experience behind its name. Read on for the full details and a little inside knowledge too. Red Tiger might not pack the punch of some of the heavyweight igaming producers, but, since 2014, they have been brought a fresh, outside-the-box approach to innovative casino gaming solutions with their ever growing portfolio of truly unique and exciting games. Red Tiger Games offer a lot of diversity in their gaming styles. The company had many ideas behind it that were in existence long before their 2014 inception. In fact, the company creators are from all over the world. The have histories working in the gaming industry for Asian and European markets alike, and they worked in the industry for years before they started this company. While about two decades younger than their major competitors, they bring to the table a team of graphic designers, mathematicians, software designers, audio engineers, and gambling experts. The company has its main operations base on the Isle of Man as well as their gaming license. They are overseen by the United Kingdom Gambling Commission and has started teaming with the iGaming Cloud to provide new iGaming options to the marketplace so you can play on your favourite device. Red Tiger have three different products currently, two of which relate directly to gaming. The third is a type of back office service specifically for casinos but it does not really impact players. The remaining two products are table games and video slots. The slots have become quite popular as they really do stick to the cultural diversity of the Western and Asian themes which are out there. They all offer high end 2D and 3D graphics for their games too. The games are said to be more mathematically friendly to players since they were created by mathematicians; built in algorithms benefit players financially. The table games they offer are equally impressive, with a line of classic blackjack, roulette, and baccarat. Add to that the variations of each classic game with HD displays and upgraded designs and it is easy to see why they are so popular. Moreover, all of their games can be accessed via tablet, mobile devices, and desktop devices. The interface and user experience have all been vetted so they meet high standards too, meaning you can can enjoy online casino special offers. The games have enjoyed mixed reviews which seem to be related directly to whether the players enjoy variance or not. But for those who do, the games are absolutely great. They keep players incentivized and enticed. Their three most popular start off with the Three Musketeers. Anyone who wants to be part of French fighting forces will enjoy this one. It offers a return to players of 95.15% and does offer the chance to win up to 2000 times your original bet across the 5 reels and 40 paylines. For this game each of the players has a bonus meter. Whenever you get a wild on your reels it starts to fill up this bonus meter. Once it is full, you get to trigger a special bonus game related to each of the players in question--so whichever one you selected to be. The game is volatile though because the number of wild hits will increase as that meter starts to reach “full”. But, to that end, it has a high pay table and their higher paying symbols are worth 300 coins. Lucky Wizard is another favourite game which the company claims was crafted by “secret wizards” who worked for them. The graphics are nothing to write home about but it has a higher paytable with the highest symbol worth 800 coins and a return to player percentage of 96.42%. Dragon’s Luck is another game popular from their collection. It is an Asian inspired game, one which is the most volatile of these three. For this one, the highest paying symbol you can get is 1380 coins. The game features 10 paylines and 5 reels with a return to player percentage of 96.29%. Overall this company has recently formed a partnership with IGC which means that it will start to join a long list of online casinos that offer iGaming exclusively. This is a pretty big achievement for such a small company because the online casinos they are now partnered with have established histories and are very popular. There are, of course, other casinos where you can find these games and partake. They have come quite far since 2014 and no doubt are still traveling onward.